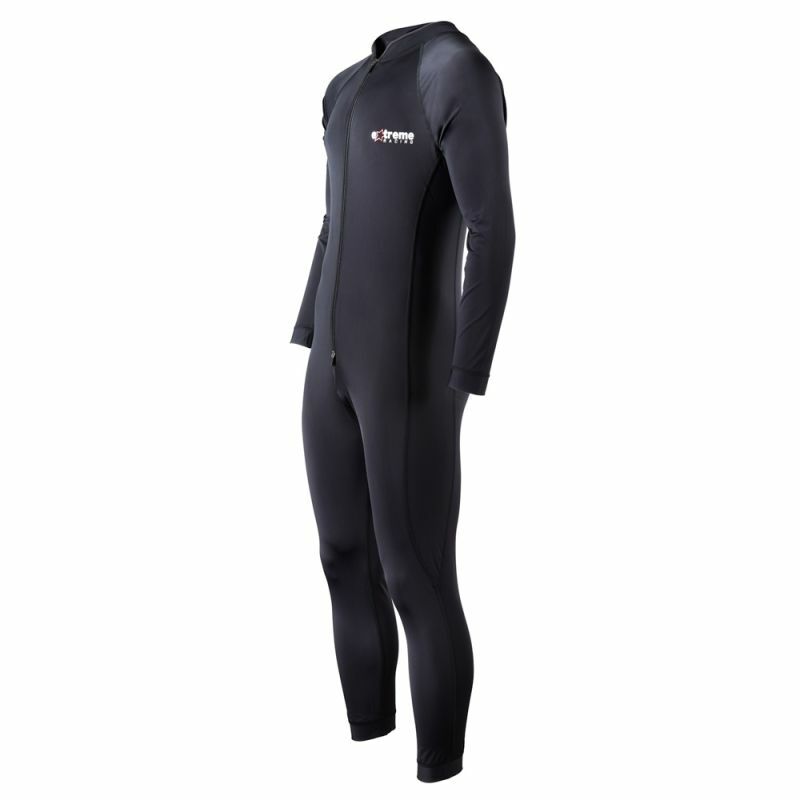 Pro one piece undersuit (racing undersuit) the best summer under suit you'll ever own! Manufactured using specially blended polyamide producing a quality fabric for enhanced moisture management. Our undersuit design ensures the suit will not ride up whilst motorcycling, skiing or any other energetic activity keeping you fully focused at all times. The fabric is light weight & durable keeping the wearer comfortable, the 2 way zip allows easy toilet trips & with a non iron cool wash care instruction keeping it simple to care for. 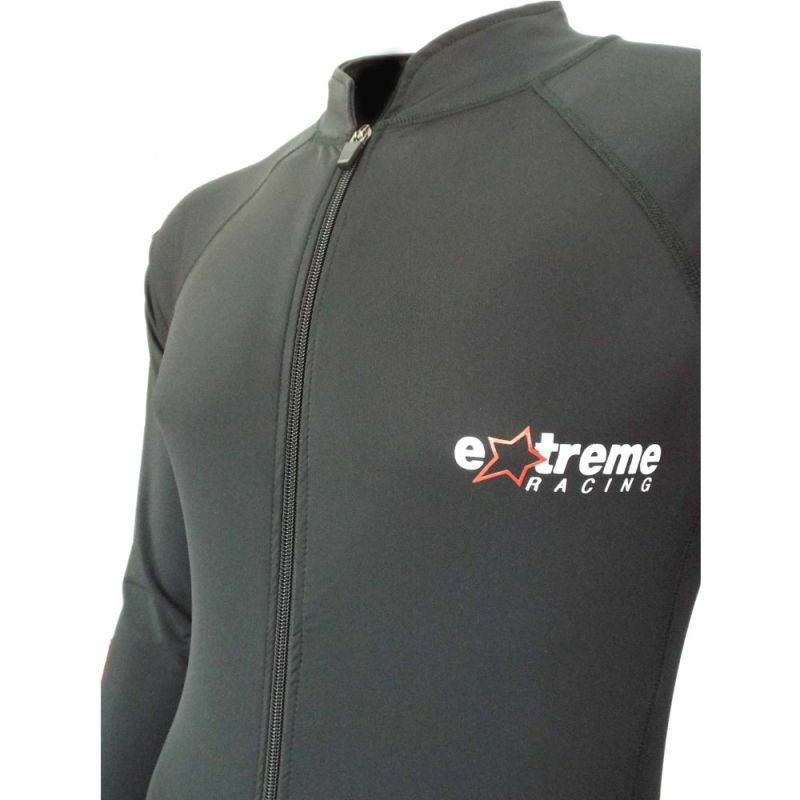 Designed to be worn in warmer conditions yet still provides all year round protection, the extreme racing pro one piece suit gives support to key areas with its highly flexible yet supportive fabric, with a sculpted collar for added comfort our under leathers aid rider durabilty over short and long distances. No other manufacturer on the market comes close to price and quality to our pro one piece undersuit. We are asked how come our products are so much cheaper than others, the simple answer is your purchasing direct from the manufacturer. Sizing FAQ: if you are in-between sizes always go for the next size up, for example 40" chest & 6 Feet tall choose the XL , if you are tall with a small chest size choose the height for sizing. This is my second one piece under suit from Extreme Racing, these represent extreme value for money, they fit well and are very comfortable, makes putting on and taking off your leathers a breeze in hot weather, I decided to purchase Extreme Racing's new design for summer use although not used in anger yet having tried these on they appear to feel cooler and with a new design collar they're less intrusive around the neck. I would recommend this product because they compare favourable against more expensive and other well known brands, great customer service and fast delivery from these guys! 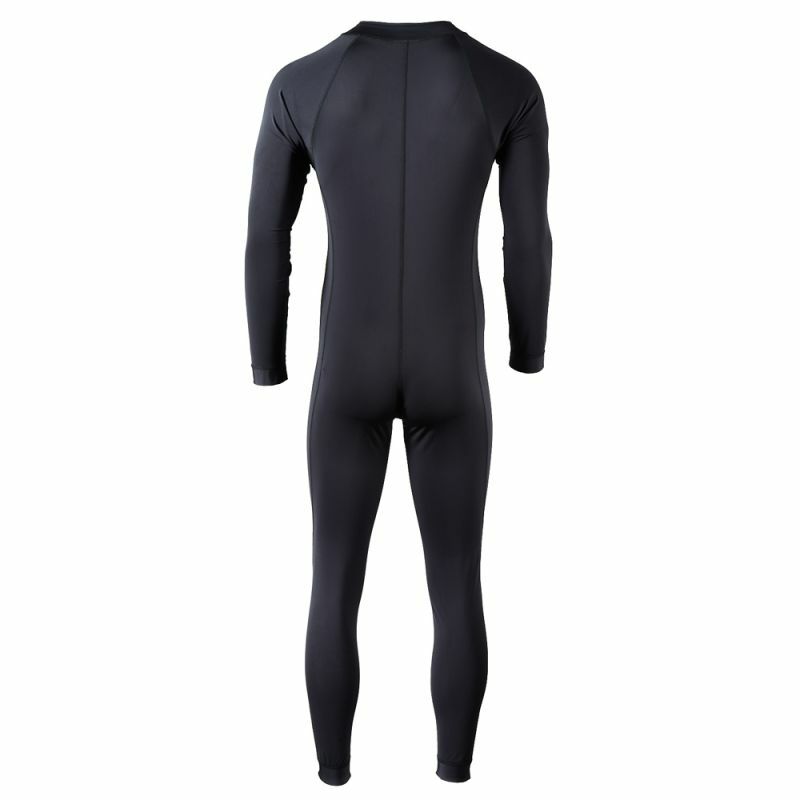 Really impressed with the base layer suit - exactly what I was looking for and really good value compared to the other products on the market. Will order a 2-piece set soon for those long WE away!